Product prices and availability are accurate as of 2019-04-15 06:39:14 UTC and are subject to change. Any price and availability information displayed on http://www.amazon.com/ at the time of purchase will apply to the purchase of this product. 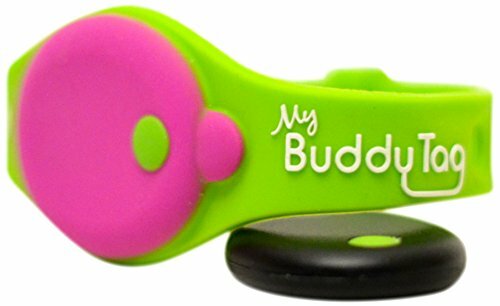 Buddy Tag is a one of a kind child safety wristband. It helps preventing lost child and accidental drowning. 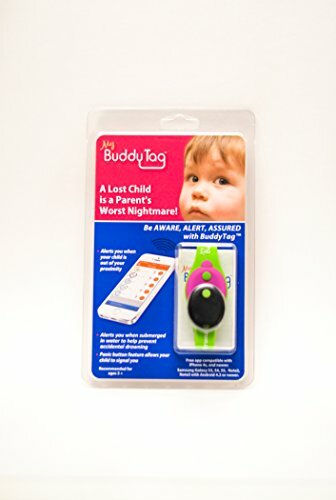 Buddy Tag uses bluetooth to communicate with a smart phone app, which can be downloaded at no charge from iTune Store or Google Play Store, and there is no monthly fee. The app is compatible with iPhone 4s, 5, 5c, 5s, 6, and 6 Plus; 4th generation iPad, iPad Air, iPad Air2, and iPad Mini. For Android phones, Buddy Tag app is compatible with Samsung Galaxy S3, S4, S5, Note2, and Note3 with Android 4.3 or later. By placing a Buddy Tag on your child and enabled it on your app, Buddy Tag will alert you when your child wanders out of your proximity. The proximity setting is adjustable via the app. 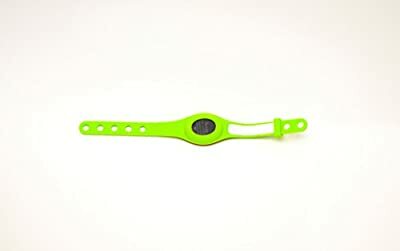 Buddy Tag also helps prevent accidental drowning by alerting you if your child wearing Buddy Tag falls into a pool or lake. Each Buddy Tag has a Panic Button. Your child can press the Panic Button to let you know he/she needs your help. Email with Last Seen Location feature sends you an email with the date, the time, and the map location when the child wearing Buddy Tag is totally out of the bluetooth range from the phone, and this would be perfect if you have a nanny taking care of your child while you are at work. There are multiple ways to wear a Buddy Tag wristband. Buddy Tag can also be used as a stand-alone device by removing it from the wristband. You can place the tag in one of the pockets or tie it to the shoelace. All the features still function the same.